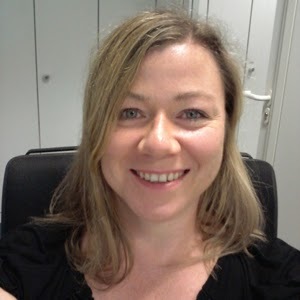 MyMemories Blog: Today's Daily Designer....Daniela Austen! My name is Daniela Austen, I am 42 years young, married and Mommy to Hannah. We are living in the beautiful city of Frankfurt am Main in Germany. After Hannah’s birth, I was deliberating what to do with the numberless photos of her and it didn’t take me a long time, that I run into digital scrapbooking. No need to mention, that I am hooked ever since. I did work as a Creative Team Member for various stores and designers, before I decided to create my own kits in 2006. 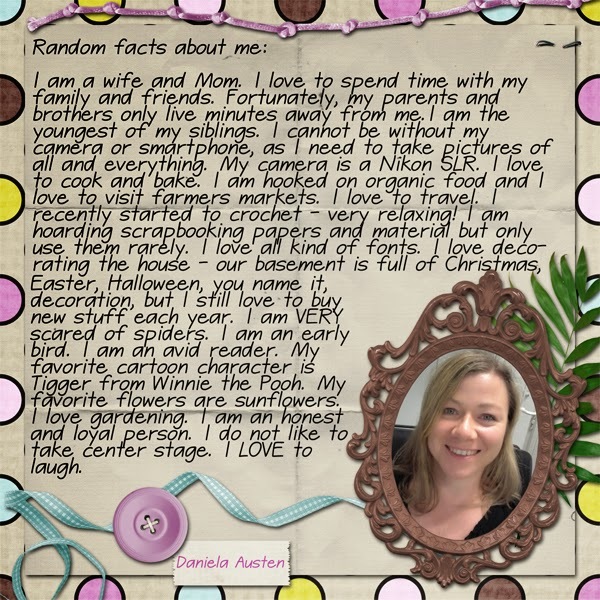 Even though it has been nearly 8 years now, since I became a digital scrapbooking designer, I am still very excited to see people all over the world using my designs and I love to see the layouts they create with my products. I am feeling very blessed and honored, to help them create keepsakes for their families and loved ones through my designs. Like my fanpage "Daniela Austen Designs" on facebook and receive information on new designs, freebies and fun stuff!